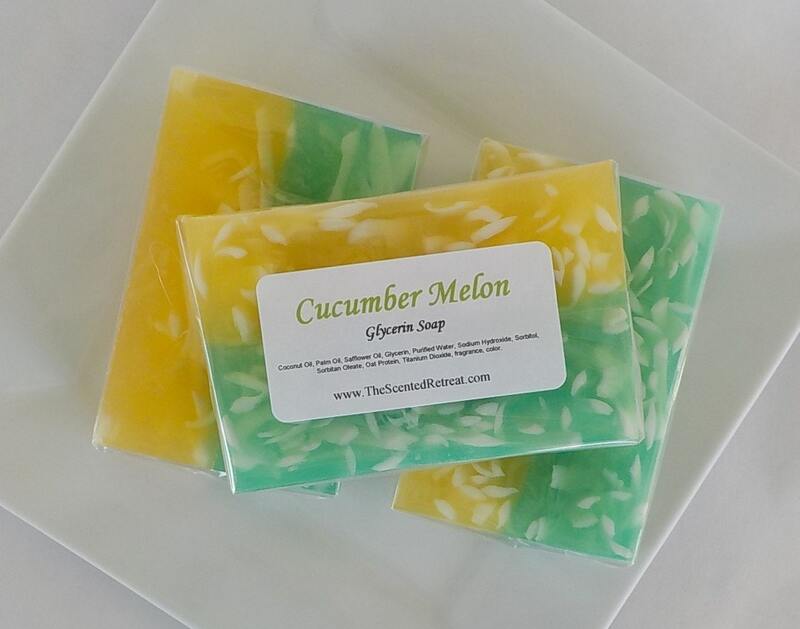 Cucumber Melon - Handmade Glycerin Soap - Vegan friendly. Great duplication of a popular fragrance. Ripe melon and crisp cucumber.